We’re Melbourne CBD’s only outlet shopping centre. With over 100 specialty stores, you’re sure to find a bargain at Spencer Outlet Centre. Discover your favourite brands, quality eateries as well as the City’s only TK Maxx, Harris Scarfe and Cotton On MEGA stores. Plus, for your convenience, there’s Coles and Chemist Warehouse. We’re conveniently located right next to the city’s largest public transport hub, Southern Cross Station, above the Skybus Terminal and we’re right next to Marvel Stadium, making outlet shopping easier and more accessible for everyone. Click here to view store map. You’ll find us at Level 1, 201 Spencer Street, Docklands, right next to Southern Cross Station in Melbourne’s CBD and the gateway to the Docklands precinct. Heading in via train? 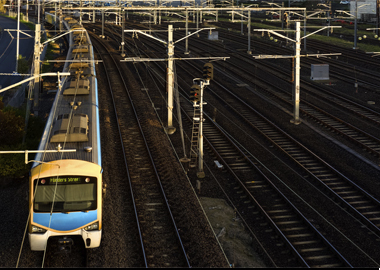 All city bound trains stop at Southern Cross Station, the closest station to the Centre. From there, we’re an easy 4-minute walk. Just follow the signs pointing to Spencer Outlet Centre. 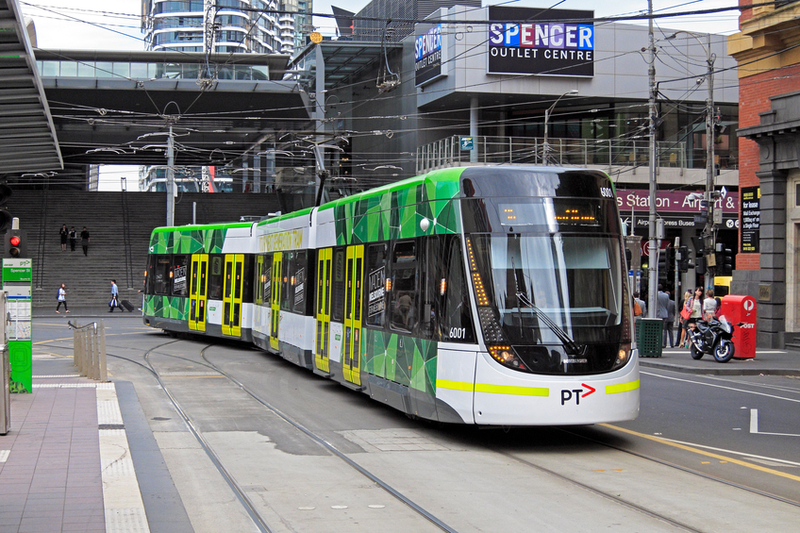 Whether you’re starting your journey in the CBD, St Kilda Beach, Richmond, Box Hill, East Brunswick, Port Melbourne, Docklands or Vermont South, there’s plenty of tram services that bring you right to our doorstep. Visiting us from interstate or overseas? It’s so easy to get here from the airport. 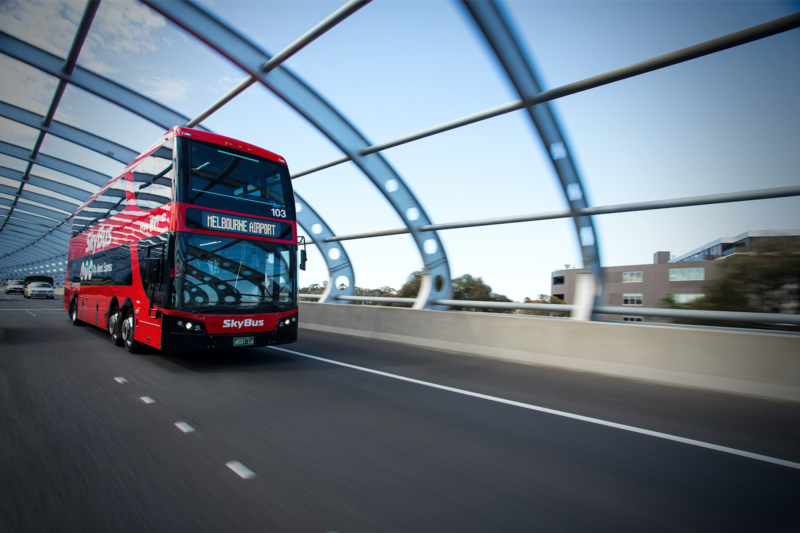 Express SkyBus services run every 10 minutes* daily between Melbourne International Airport (Tullamarine) and Spencer Outlet Centre. Save time and pre-book your SkyBus ticket online here. Buses run every 15 to 30 minutes at other times. Driving in? There’s convenient undercover parking located right next to Spencer Outlet at Wilson Southern Cross Station Car Park, 163-235 Spencer Street, Docklands. Spend over $30 at Coles at Spencer Outlet Centre and receive free 90 minute parking. To redeem this offer, simply scan your Coles receipt at the parking machine near the Coles car park entry at the top of travelators. Get 50% off parking at Wilson Southern Cross Station Car Park when you park for less than 3 hours and spend over $30 in the Centre. Simply present your receipt/s and parking ticket to the Spencer Outlet Centre Management Office to redeem this great offer*. *Valid during centre trading hours only. At Spencer Outlet Centre, we want your shopping and dining experience to be enjoyable, convenient and comfortable. That’s why our friendly Customer Service team are on hand and ready to help with any queries about the Centre, finding a store, public transport information or lost and found property as well as complimentary wheelchair use. You can find a Customer Service team member at the Centre Management Office on Level 1. There’s also a Parents Room with changing facilities as well as Disabled Toilets located on Level 1. Join over 100 well-known stores and brands at Melbourne CBD’s biggest destination for great value outlet shopping. With thousands of visitors daily to the centre, we’re looking for like-minded brands and retailers that can deliver the value and experience our shoppers seek out at Spencer Outlet Centre. Get in touch with us for latest opportunities in casual and permanent leasing.